Northern Cardinal by Stuart Edwards via Birdshare. When Northern Cardinals and other familiar birds begin to sing their bold melodies, it’s a sure sign that spring is here. Most bird watchers learn early on that it’s usually the male birds that sing to announce territory or to defend their turf—but in a new call-to-action, two researchers are urging people not to overlook females as singers. The researchers have even set up a website, femalebirdsong.org, to help get the word out and to make it easy to report observations. In 2016, a study found that in a sample of more than 1,000 songbird species from around the world, 64% had females that sing. Many tropical species and some temperate-zone species, like female Northern Cardinals, sing regularly; while others sing during specific parts of the breeding season. A female Red-winged Blackbird sings. Photo by Todd and Conni Katke via Birdshare. Recorded by Wil Hershberger, April 1999. Females sing a rapid-fire tut-tut-tut-tut-tut! in response to the male’s conk-a-reeee! Recorded by Richard Simmers, May 1963. Females sing during nest building; and female Bullock’s Orioles sometimes sing more than the males. Female Bullock’s Oriole by William Fish, April 1953. Females may sing when eliciting copulation or courtship feeding. Recorded by Paul Mundinger, June 1981. What’s more, Karan Odom, one of the authors of the recent call-to-action, says that females of many other species around the world probably also sing, but scientists just don’t know about it yet because of lack of documentation. “For decades, bird song research has focused on males, in part because it was assumed that song evolved in males,” says Odom, a postdoctoral researcher at the Cornell Lab of Ornithology. To the contrary, recent work seems to indicate that female song is an “ancestral” trait, meaning that deep in their evolutionary past it was once the norm for female birds to sing. Maybe females “lost” their tendency to sing as migration evolved, Odom says. In tropical areas, where female singing is more common, pairs often hold their territories year-round. Maybe having both sexes singing makes it easier for the pairs to defend their preferred turf all year long. By contrast, migratory birds visit the temperate zones for only a few short months each year. Perhaps females simply save their energy for building nests and laying eggs, leaving singing and territory defense to the males. It’s true that female singing is better known in the tropics, but even here in North America, nearly 150 songbird species have females that sing (see Appendix B in the paper), according to Lauryn Benedict, Odom’s coauthor, who compiled a list using information from the Birds of North America. In 1943, Margaret Morse Nice dedicated an entire chapter to female song in her groundbreaking Studies in the Life History of the Song Sparrow, Vol. 2. In it she describes the female Song Sparrow’s song as “like the territory song of the adult male with all the music and variety omitted.” She noted that females primarily sang early in the breeding season, from an elevated perch, and elicited no response from any nearby bird. Later studies confirmed this early-season timing, and revealed that female Song Sparrows were singing mostly during territorial conflicts with other females. Nice spent years studying Song Sparrows, but she also noted a host of other female singers, including Northern Mockingbirds, Baltimore and Bullock’s Orioles, White-crowned Sparrows, European Starlings, Cedar Waxwings, and House Finches. Is this singer a male or a female? With some species it is difficult to tell. Song Sparrow singing by Drew Weber/Macaulay Library. And she noted cardinals, of course—perhaps the most recognizable example of female song in a North American species. Like songbirds in the tropics, many cardinal pairs maintain a single territory (and a pair bond) throughout the year, so dual singing pays off. During courtship, males and females sing together and will often match songs, possibly helping reinforce the pair bond or as a warning to other cardinals that this territory is already claimed by both a male and a female. One study even found that when a nesting female cardinal sings in response to her mate’s chip note, the male is more likely to visit the nest. Listen to this clip where two cardinals singing different songs start singing similar songs by the end of the recording. But perhaps the best species to pay attention to are the warblers, Odom says. She recommends them because, unlike Song Sparrows and Black-capped Chickadees, most warbler males and females are easy to tell apart. Not to mention, they do an awful lot of singing in the spring and summer. 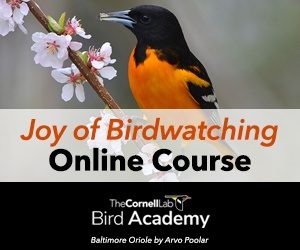 Scientists already know that female Wilson’s, Yellow, Hooded, Chestnut-sided, and Prothonotary Warblers, plus Common Yellowthroats, sing—so if you run into one of these species, take a second look and see if you can find a singing female. And keep an ear out for other species too. You might make the next great discovery in female bird song. Just be sure to take detailed field notes, get a recording if you can, upload it with your eBird checklist, and head to femalebirdsong.org to make a report.